Daniel Web-Builders and Marketing cc has qualified SEO Experts and ready to optimize your website and increase the keyword- ranking. Your specific landing page can be optimized according to your desired keywords. Our SEO Panel Tools automatically display all kind of tips to make sure that your website has a good quality landing page. We have turned SEO Service into an active marketing strategy, search engine optimization will really be a success to generate Leads. Our technique is based on the new Google algorithms. Do You Want To Optimize Your Website By Yourself? 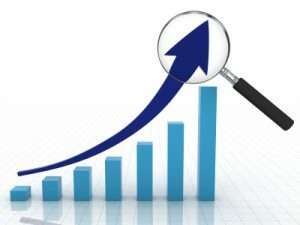 Website Optimization refers to the combination of all those SEO tools and techniques which increases traffic on a website. A website gets popular and its credibility also increases as more and more people land on its pages, this is a process to bring visitors to your website. This is made possible only when the website is optimized as per the defined parameters of a successful and popular search engine like Google. We optimize the website to be visible on Google, Yahoo and Bing. Optimization takes time and shows results slowly. To optimize the website or to do search engine optimization, certain things need to be kept in mind. > To create a niche on the Net, place unique and correct content on the site. We call it keyword content. > Update the content regularly to enjoy traffic over a long period. > Building back links is another way to optimize a website. It is placing a link on a quality website, whose content and niche that is related to your website. > Change in the policies of search engines should be tracked as a former legitimate trick may not hold good for the present. The practice of Search Engine Optimization principally falls in two major categories that are On-Page Optimization and Off-Page Optimization. On-Page Optimization fine tunes the web page content and structure through the following processes. Code Optimization is about keeping the web page code simple, so that it is understood easily. The HTML should be clustered into styles like CSS files and not staggered into unnecessary tags. Title Tag Optimization concentrates on making “Title tag” descriptive but short. It should first incorporate targeted keywords in it. Meta Tags Optimization that concentrates on meta tags which make the page content and services such that all the targeted keywords are used properly. Heading Tags should be so optimized that important text on webpage are seen in italics, underlined or bold. Internal/External Link Optimization and Image Optimization are also important. It makes the internal link well structured with an all-inclusive anchor text. ALT and TITLE text on every image should be descriptive. The Content should contain 5-6% keywords and its synonyms relatively. Off-Page Optimization is more significant but is not in the hands of developer. It takes more time and plays a crucial role in optimization of a website. Longer Keyword should be searched and used as they are more targeted and less websites display information on them. Funky features like flash components and frames are considered a hindrance by search engines. This must be taken care of. “Inbound Links” generated should be legitimate and of good quality to appeal to search engines. Updating of website on a regular and frequent basis is immensely important. An index or site map works wonders for optimization of website. Webmaster tools like backline trackers, keyword search tools, also find new ways to optimize sites. 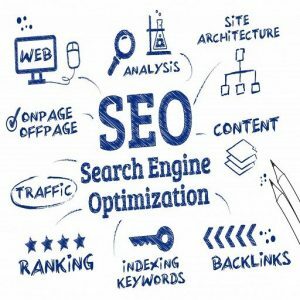 All the tools and techniques of SEO may be used to optimize a website for search engines. The best and most relevant information is however, available from SEO blogs, forums and SEO related websites or companies of repute. They may be consulted to reap the benefits of website optimization.